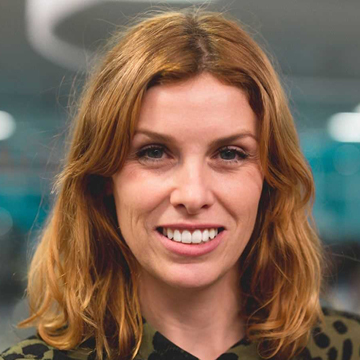 Golin gender pay gap profile: Laura Weston, Marketing Director, Golin, discusses how “employers should see this as an opportunity to put right a historical wrong”. How did you reach the decision to voluntarily disclose your gender pay gap figures? Reporting is not a legal requirement for Golin (with less than the required 250 employees), but the agency decided to voluntarily report its gender pay gap data as part of its commitment to championing women and diversity in the industry. We are passionate and vocal about creating a progressive agency, so this was a great way to support our message. Naturally, it is also the right thing to do. What was the most significant barrier to disclosure and how did you overcome this? Our decision to announce our gender pay gap was driven from the top, so we didn’t face the barriers that others may face. We also had a good news story for the agency, as our pay gap in favour of women was a great story to tell. What has been the main benefit to the organisation? We want our people to know that they will be compensated according to their skills and expertise, not their gender, life decisions, background, or ethnicity. The main benefit of gender pay gap reporting is that we can now demonstrably show that we have gender parity. This has already been great for business - it’s a source of pride for the team, it helps us attract top-hires from a wider pool of talent, and more and more clients want to know they are working with ethical and diverse teams. How did your employees react to the fact you were disclosing your gender pay gap figures (and doing so voluntarily)? We had a huge amount of positive sentiment when we announced our gender pay gap, as we had a reverse gender pay gap in favour of women. Ours was an incredibly positive story to celebrate, so understandably employees’ reactions were very good. However, we still needed to deliver an education piece to ensure people knew the differences between gender pay and unequal pay. We needed to clarify why our gender pay gap was in favour of women, that the data reflected a female majority in the most senior roles in the agency not unequal pay between men and women. What would you say to other organisations unsure, or concerned, about disclosing their figures? Gender pay gap reporting is a great opportunity to drive positive change and demonstrate transparency. Employers should see this as an opportunity to put right a historical wrong and present themselves as a progressive employer. Remember, most organisations will face a problematic pay gap, but it’s how you demonstrate meaningful progress that matters. Those not making an effort to address this will find themselves in an increasingly vulnerable position. Handled well and with the right measures in place to address even the most significant pay gap, employers can build stronger relationships across their organisations, shape their reputation for the better, and make themselves more attractive to the best talent.